Meet Bianca Cavalla, CSU East Bay! 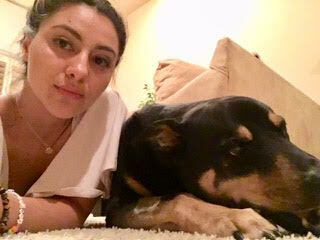 Meet Bianca Cavalla! Linguistic Horizons is pleased to welcome Bianca into our summer 2018 Nutrition & Natural Medicine in Peru program! She is looking forward to learning more about super foods, food as medicine and alternative healthcare in Peru! I will be graduating this spring with a Bachelor of Health Sciences degree. I enjoy cooking and tending to my herb garden daily. Cooking is all trial and error and I love to experiment with the foods I grow- it’s my therapy. My mother is Mexican and my father Italian. My parents taught me how to cook. They taught me that food brings family together. I also love to hike, and take landscape pictures around the Bay Area. I take full advantage of the beautiful California redwoods in my backyard. What are some of the things/places on your bucket list? My bucket list would consist of going to as many national parks as I can in this life. What is your favorite saying in Spanish? My favorite saying in Spanish: uno was cerveza. Peru is known to have spiritual and sacred powers. I want to gain my own perspective on the healing powers of Peru. I never want to stop learning! My proudest accomplishment would be my independence and freedom. I have been paying my own way since I was 22. The price of living is not cheap; and, I have know this since I starting working at 16. Yes, of course I had support from family and friends; but, I depend on myself because I can rely on myself.